The 1st oil infused Micellar Cleansing Water, powerful at removing makeup, even waterproof yet surprisingly gentle on skin. 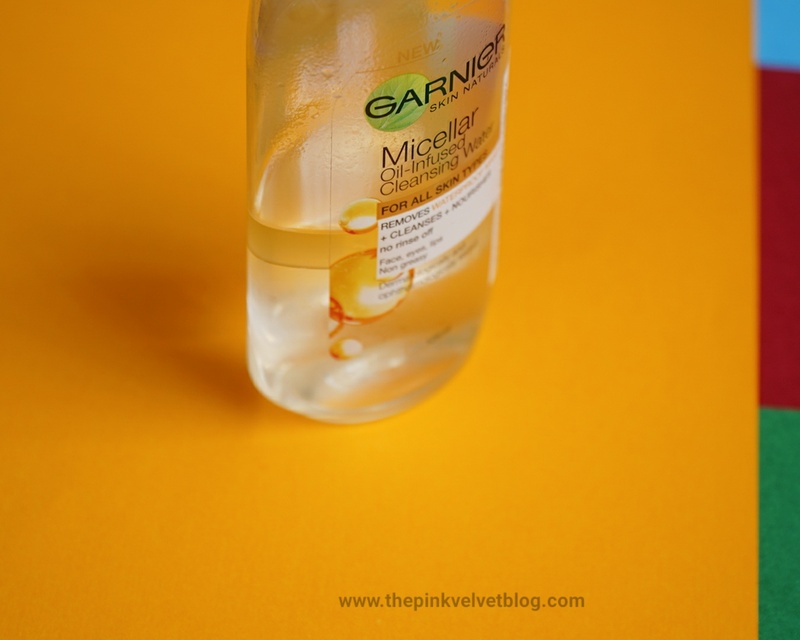 For the 1st time, Garnier combined its Micellar Technology with nourishing Argan Oil. The Micelles capture and lift away residue like a magnet, while the oils dissolve traces of makeup and nourish the skin. Always Shake well before use to mix both, oil and water part. 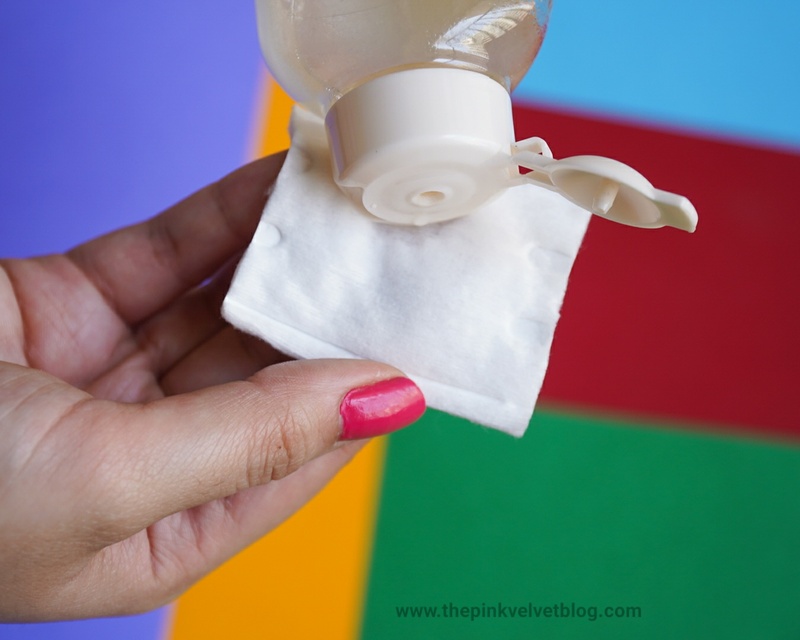 Dab some on the cotton pad, press and hold onto makeup to break it down and wipe it off. 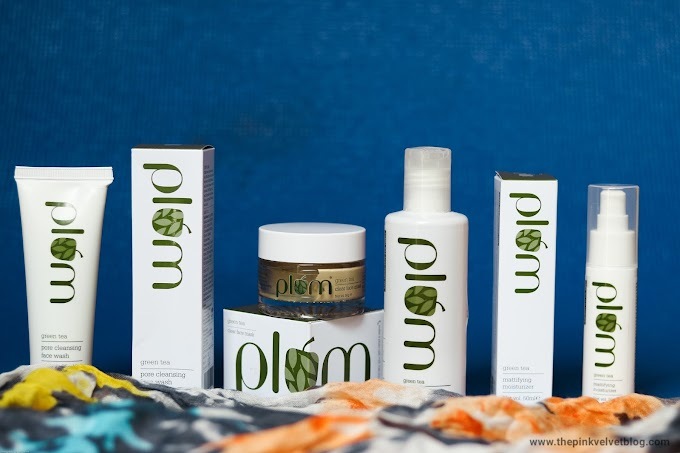 Packaging: It comes a handy travel-friendly plastic (Grade 1) bottle with a flip flop cap. The cap is tight and secure and I didn't face any leakage issue. All the information required can be found on labels. 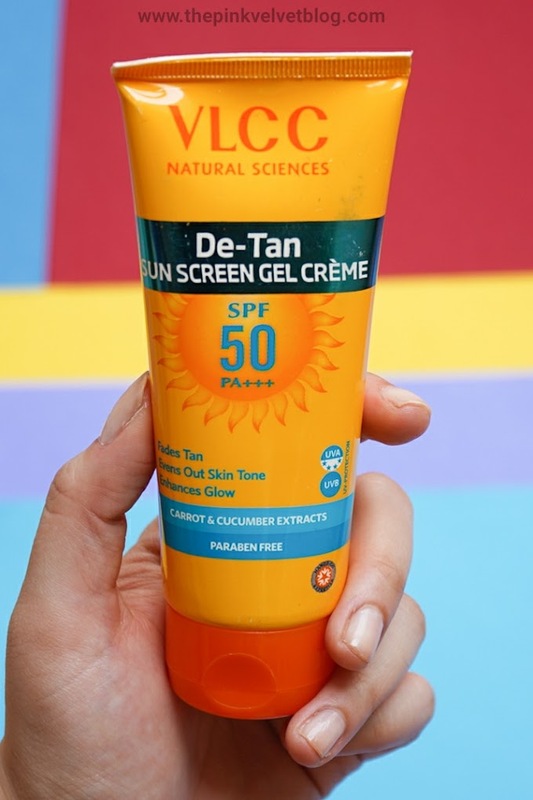 When it comes to plastic packaging, it can be really dangerous be it cosmetics or eatables so one thing you can be sure of is the plastic grade should be 1. If it is not, do not use it. Fragrance: It smells so beautiful! It isn't heavy or strong at all. It has argan-oil in it but it isn't too overpowering. I found it nice. It claims to be All-in-1 Cleanser and Makeup Remover and it actually is. 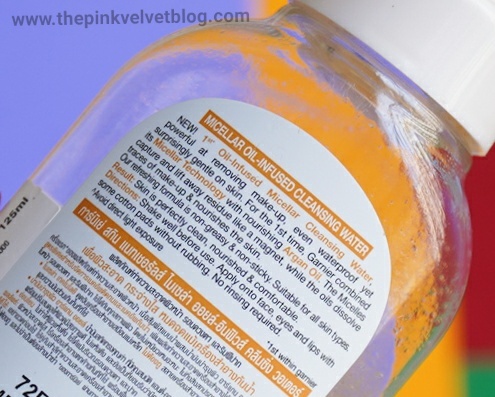 To me, micellar water was just like a makeup remover and I didn't expect that it can actually clean my skin so well along with removing makeup. 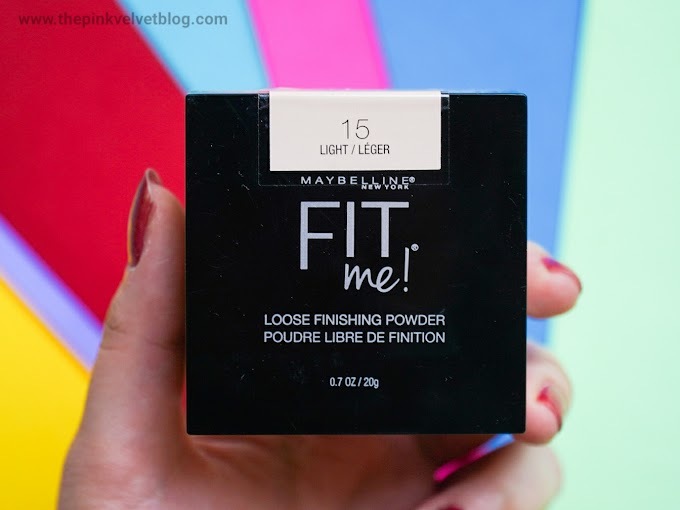 I was habitual of Maybelline Total Clean Makeup Remover and I loved it from my heart. It is the best makeup remover. Because the Maybelline one was oil-infused, I bought the oil-infused variant in Garnier as well. 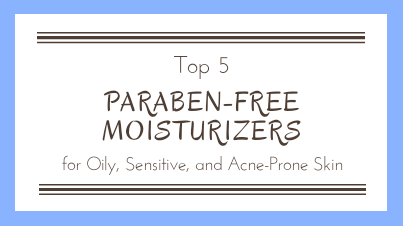 Plus, I like to use oil-infused makeup removers for my eyes and lips. 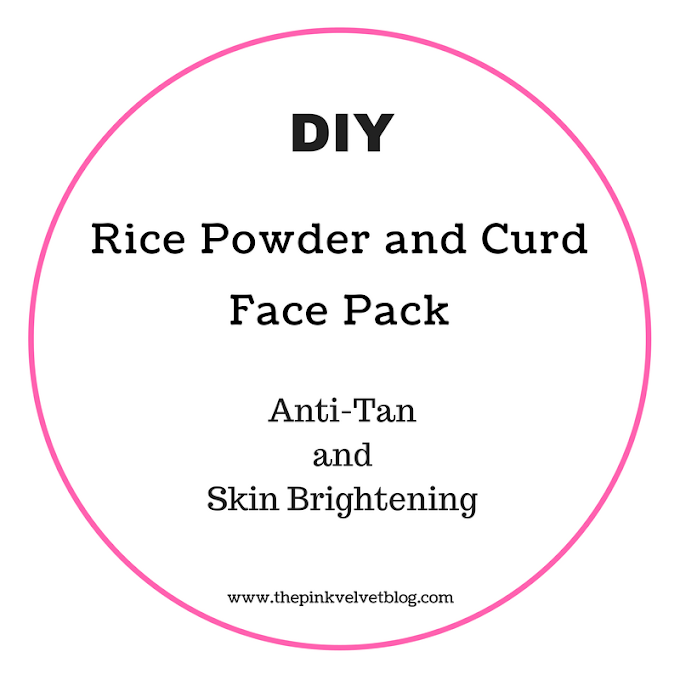 Make sure to always shake your oil-infused micellar or makeup water to mix both the liquids. When I first tried it, I was wearing multiple makeup products such as primer, foundation, concealer, loose powder, blush, contour, highlight, a good eye-makeup, mascara, brow powder, and lipstick. Actually, it was Janmasthmi night. 😄 I poured in some micellar water onto the cotton pad after a good shake, kept it on my eye for seconds and wiped it off and yes, it actually wiped off the maximum amount of makeup in one swipe. I was impressed. Then, I did a few more required wipes to remove my entire makeup and it was 99% off. There were some traces left on my lips and lower lash line which were off after my face wash. When I tried it with my waterproof mascara, it definitely needs multiple cotton pads and wipes. And even after multiple cotton pads, I still felt the need to massage my eye with coconut oil to take it off. So for waterproof makeup, I won't say it will take it off completely. And what I loved the most, that along with being a makeup remover, it actually cleanses the pores and skin so well. I tried it before doing my night time skincare routine and it literally took dirt and dead skin off. 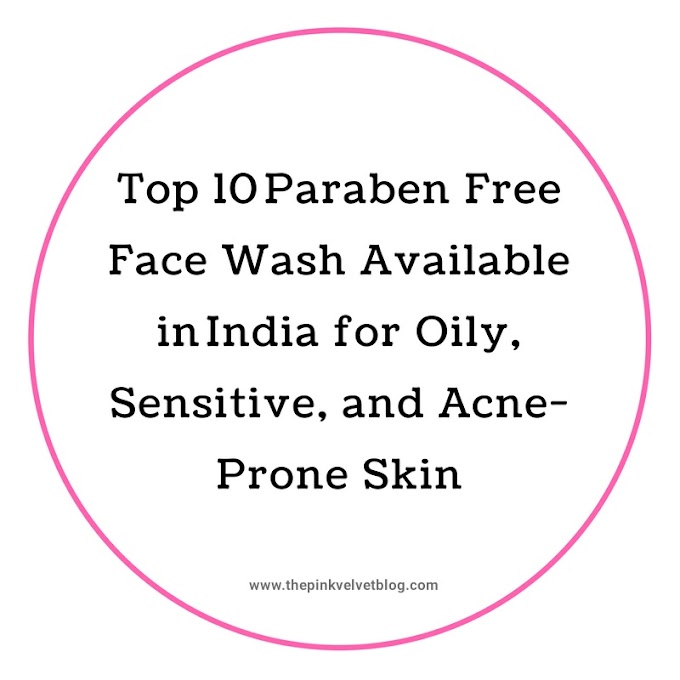 And when I started following this double cleansing routine, which is micellar water followed by a face wash, I noticed I am not getting any more clogged pores or pimples which were caused by clogged pores. So, it became a part of my skincare routine. Also, I didn't face any breakout or any kind of irritation. It claims that you won't need to rinse it off, it is true up to some level because it didn't leave any stickiness or greasiness on my skin. I didn't feel anything on my face. But I can't live without washing my face. So I am not considering this claim. I have to wash my face and feel complete and satisfied. 😃 But in case you are traveling and you are not in a situation to wash your face, this will work totally. 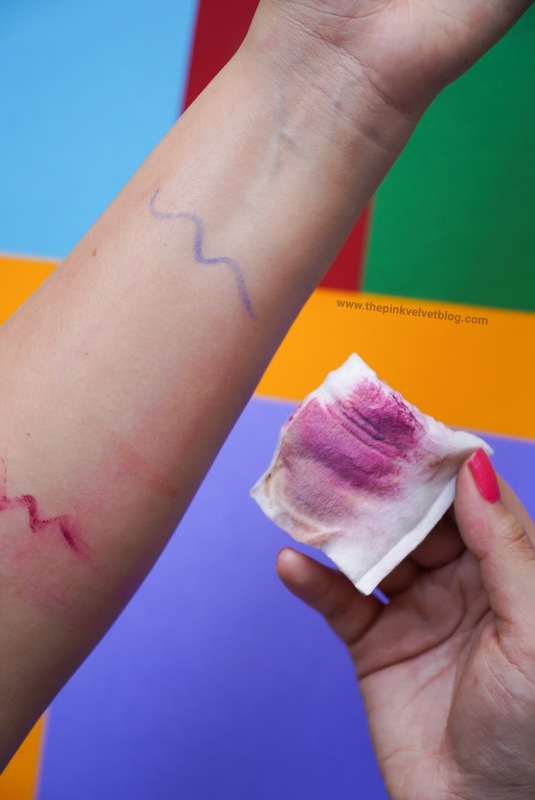 Here, I applied different makeup products on my hand. Here are eyeshadow swatches, colored liner, creamy matte lipstick, liquid matte lipstick, both, cream and stick concealers, liquid shimmery liners, highlighter, and cream contour. Then, I took some amount on the cotton pad, kept it on the makeup area for few seconds and wiped it off. In one swipe, the maximum amount of makeup was off as I mentioned above while sharing my experience. 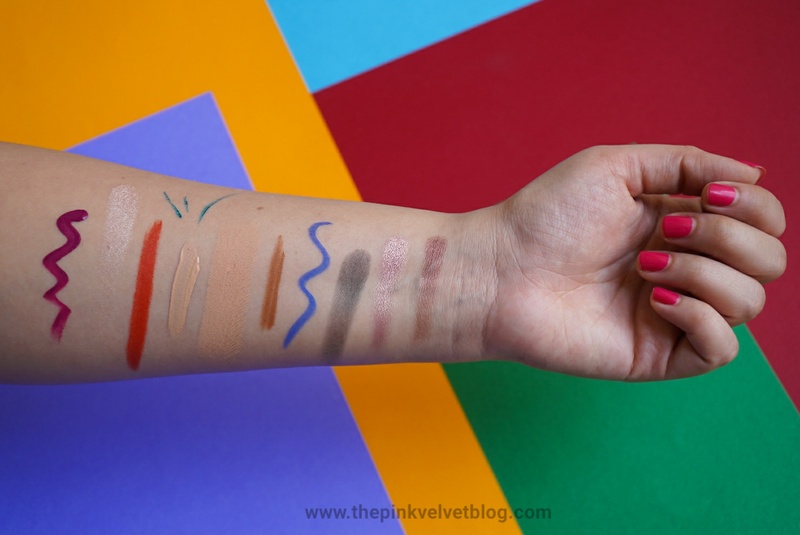 In the second swipe, everything was off except the swatches of tough makeup. For that, you will definitely need multiple wipes. And here after multiple wipes, makeup is gone. 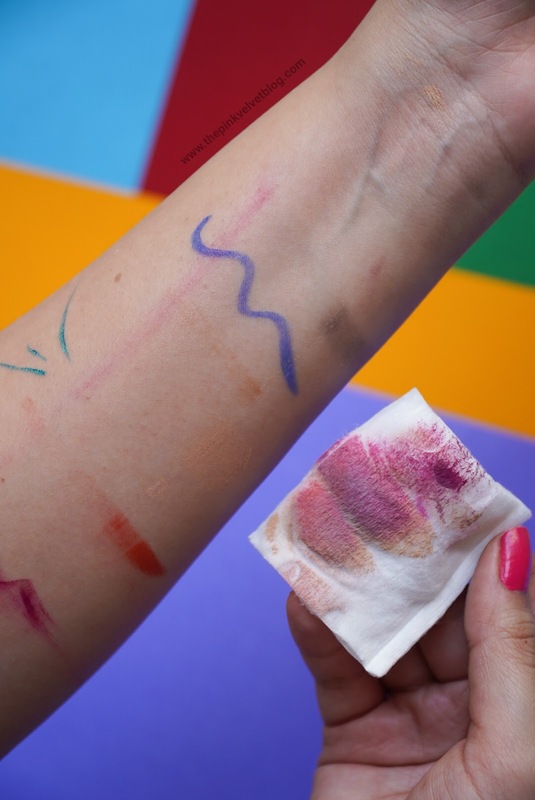 But still you spot some traces which are of a liquid lipstick and as I mentioned, you will need more cotton pads to remove waterproof makeup. but instead of this, I simply take left-over with coconut oil followed by a face wash. I love it! There are makeup removers and there are cleansers. 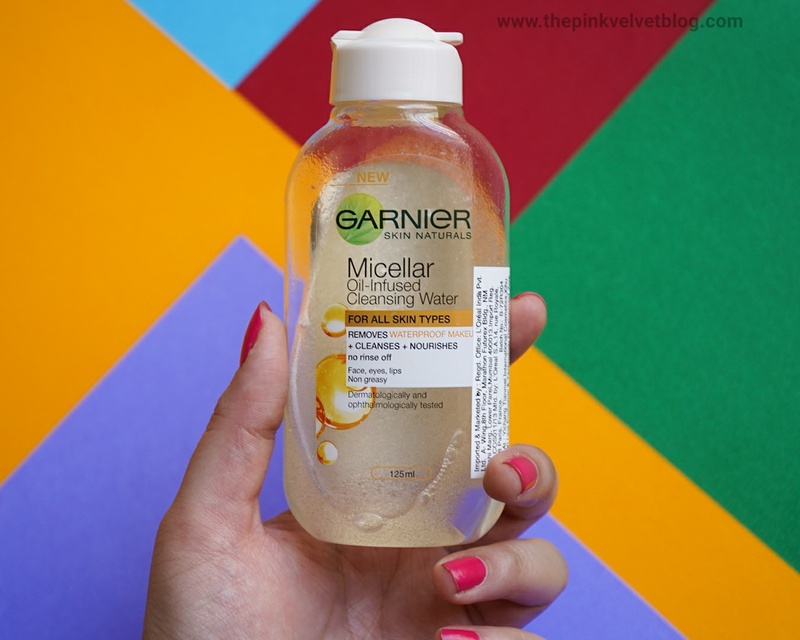 But Micellar water is a combination of both and believe me, I am so happy with this. 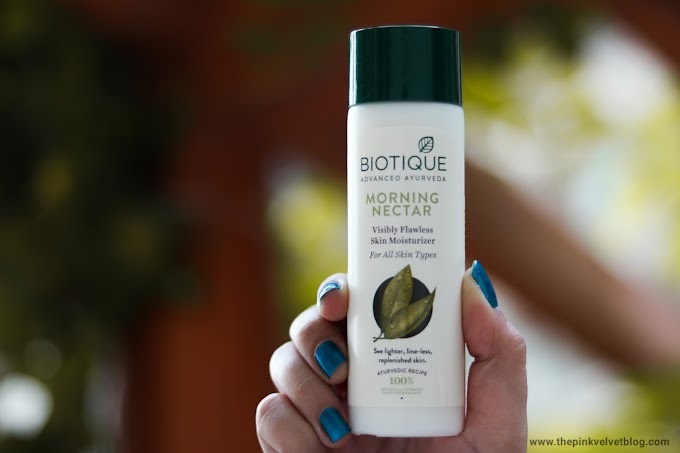 Not just because it removes makeup so efficiently, but it cleanses the skin as well. 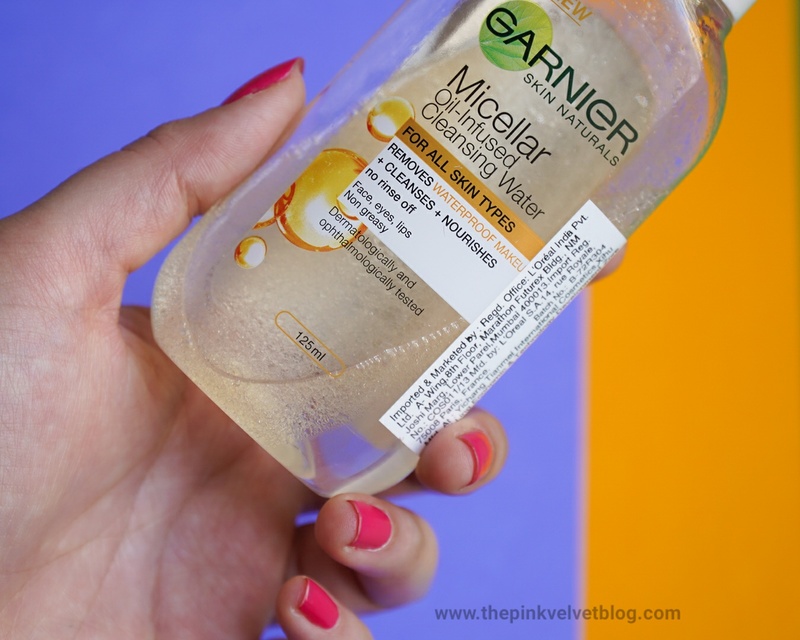 What about Cancer-Causing Rumors for Garnier Micellar? There are some rumors going on that because of the Ingredient Polyaminopropyl Biguanide (PHMB) present in it, it might or it is causing cancer which I don't know is true or not. Same is with Parabens. 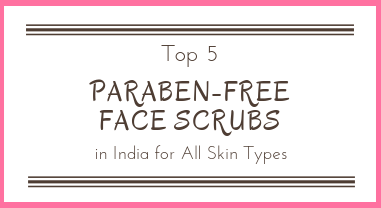 Dermatologist says that the permittable amount of paraben can be used but it is considered bad for skin. 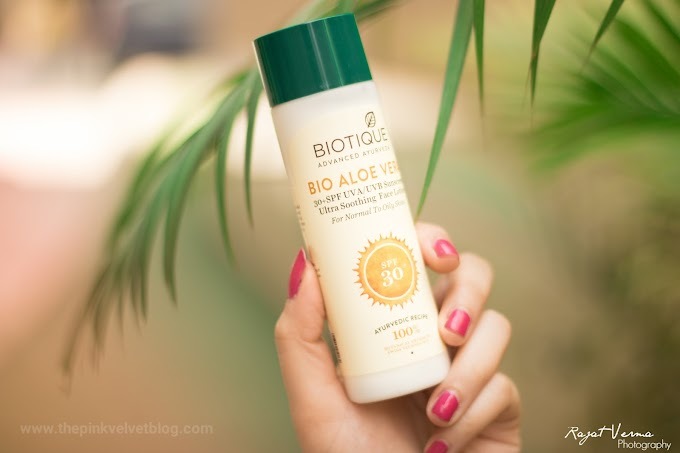 So when I read that it is Dermatologically and Ophthalmologically(a branch of health science dealing with the eye), I was confused because I am not facing any bad effect, but there are rumors and it is tested as well but it is so good. Confusion! 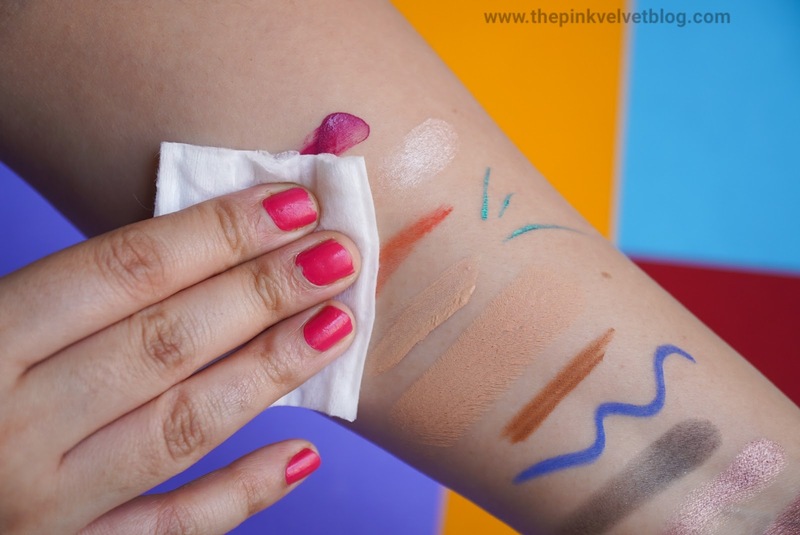 To find some other alternatives, I even tried Kara Makeup Remover wipes which are no doubt great for makeup removing but it is not beating micellar water. 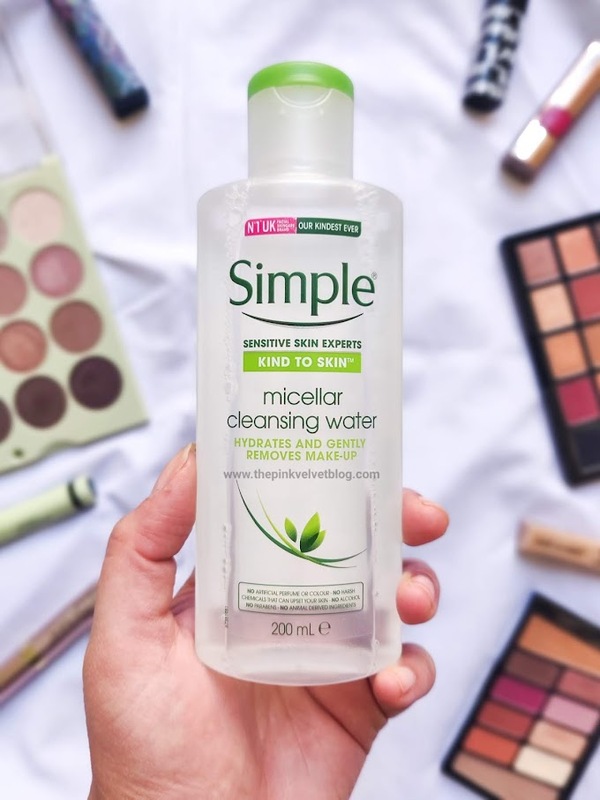 There are Beauty Gurus using micellar regularly so I am like, let us just use it. What your view of this? 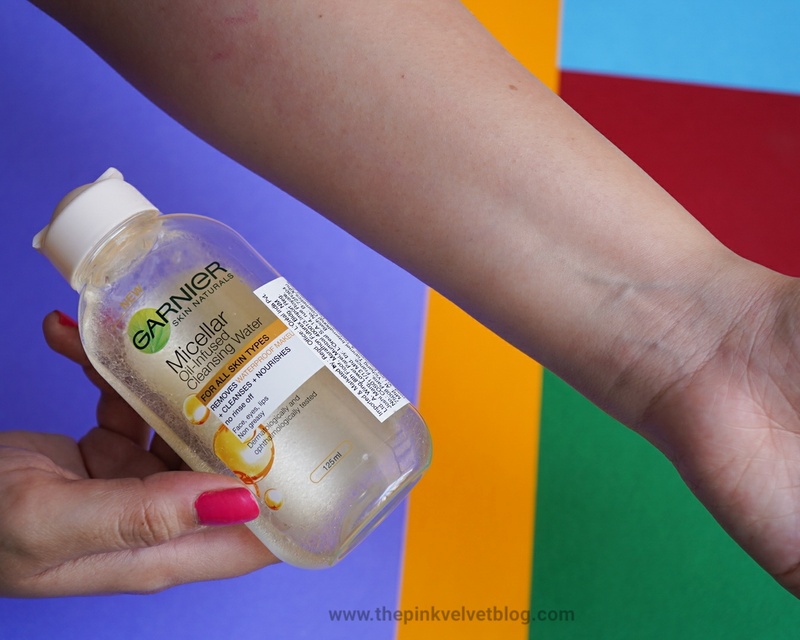 Garnier Micellar Oil-Infused Cleansing Water is true to the claim of being an all-in-1 cleanser and makeup remover. It removes the maximum amount of makeup in one go without rubbing hard and with multiple wipes, makeup is off. For waterproof makeup, you will definitely need multiple cotton pads as it is not able to take it off completely. Also, it cleanses my skin so well taking-off the dirt and dead cells. Double cleansing before bed with Micellar Water and Face Wash actually helping my pores to stay clean and not getting clogged. Didn't face any skin irritation or breakout. I am loving it. Helping in Double Cleansing Routine (Micellar Water followed by Face Wash) which keeps pores clean and helps them getting clogged. i HAVE BEEN USING IT SINCE A MONTH AND DO LOVE IT.